بال دریا آج یاٛ گئل ڤولاتٱ کاٛ ها د ٱفتۉنشین هومپیڤٱند آفریقا ، پاتٱخت ای ڤولات شٱر یامۊسۊکرو ٱ. ↑ "Côte d'Ivoire". CIA Directorate of Intelligence. 24 July 2008. https://www.cia.gov/library/publications/the-world-factbook/geos/iv.html. Retrieved 8 August 2008. ↑ "Republic of Côte d'Ivoire National Statistical Institute". ins.ci. 1 October 2014. http://www.ins.ci/n/. ↑ ۳٫۰ ۳٫۱ "Côte d'Ivoire: Gross domestic product based on purchasing-power-parity (PPP) valuation of country GDP". International Monetary Fund. http://www.imf.org/external/pubs/ft/weo/2015/02/weodata/weorept.aspx?sy=2015&ey=2016&scsm=1&ssd=1&sort=country&ds=.&br=1&pr1.x=62&pr1.y=9&c=614%2C668%2C638%2C674%2C616%2C676%2C748%2C678%2C618%2C684%2C624%2C688%2C622%2C728%2C626%2C692%2C628%2C694%2C632%2C714%2C636%2C716%2C634%2C722%2C662%2C718%2C642%2C724%2C643%2C199%2C644%2C733%2C646%2C734%2C648%2C738%2C652%2C742%2C656%2C746%2C654%2C754%2C664%2C698%2C666&s=NGDPD%2CNGDPPC%2CNGDPDPC%2CPPPGDP%2CPPPPC&grp=0&a=. Retrieved 1 October 2014. 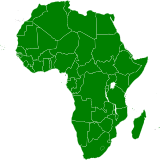 ↑ ۴٫۰ ۴٫۱ "Côte d'Ivoire: Gross domestic product, current prices". International Monetary Fund. http://www.imf.org/external/pubs/ft/weo/2014/01/weodata/weorept.aspx?pr.x=23&pr.y=11&sy=2014&ey=2014&scsm=1&ssd=1&sort=country&ds=.&br=1&c=662&s=NGDPD%2CNGDPDPC&grp=0&a=. Retrieved 1 October 2014. د نۊ زنٱ بیٱ د"https://lrc.wikipedia.org/w/index.php?title=بال_دریا_آج&oldid=89587"
اؽ بٱلگٱ ایسنؽا آلشت بیٱ د ‏۲۸ آڤریل ۲۰۱۸، د ‏۱۴:۰۰.